Centered Surfing founder Barry Green has been surfing for 35 years and coaching professionally for 20 years. Exclusively a performance shortboarder for the first 15 years, he quickly fell in love with glide & slide of longboarding. He is well versed in the techniques of retro-classic designs like Fish, Mini-Simmons & hulls. & still keeps in tune with current shortboard performance. Barry’s vision for a technical & holistic approach to surf coaching grew out of his own search for purpose & meaning through surfing. He always longed for a mentor/guide during his competitive surfing days, and his early days as a surf instructor revealed the need for coaching that helped the “middle classes” of surfers sandwiched between beginners & the pros. Like most sports, most surf instruction defaults to a “trickle down” approach to coaching, referencing elite level skill, experience & equipment to guide surfers forward. 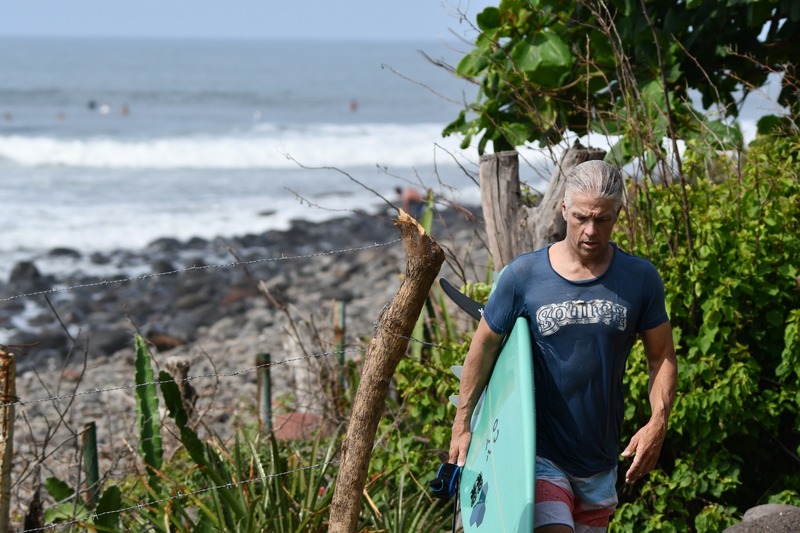 Barry’s approach is to look at what each individual surfer is bringing to the table- physically, mentally, emotionally- and devise an appropriate training progression to weave into their life path and priorities. There are no shortcuts in surfing progression, but there are shorter paths to reaching one’s goals. Barry completed the Professional Coaching Course in Integral Coaching from New Ventures West in 2008, adding life coaching skills to an extensive background working with youth and adults as a counselor, outdoor guide and experiential educator. He has three amazing daughters, who all fell in love with horses more than surfboards early on. His twin daughter’s, Gabby & Meleah, are now in their early 20’s, Gabby working as a stylist and Meleah as a trainer in the the Western Horse World in Competitive Reining. His youngest daughter Sophia is a competitive Jumper in the English Equestrian events. Barry continues to find true fulfillment in coaching committed surfers reach their potential in waves of water & life. Better surfing is indeed better living! © 2019, 2016 Making the Drop. All rights reserved. Website design by Brooktown Design.